Hey Coffeeholics and Tea Lovers! 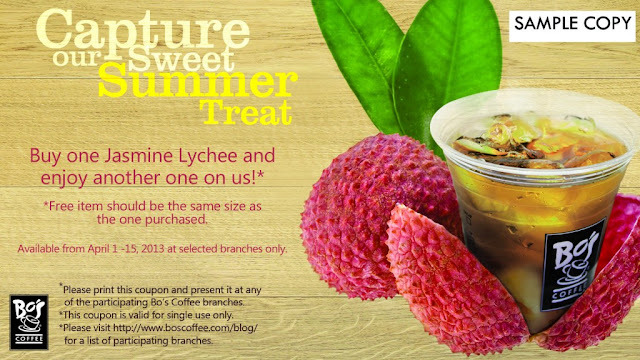 Who got this Bo's Coffee Buy one get one Jasmine Lychee in their mail? Well I did and it really perked my interest. Though I'm a very vocal coffee lover, I still do enjoy an occasional cup of tea on the side - especially milk tea, tea lattes, and iced tea. So when I saw this I thought I would give it a try. It looks cool and refreshing - perfect for this summer! And the unusual lychee twist got me curious. 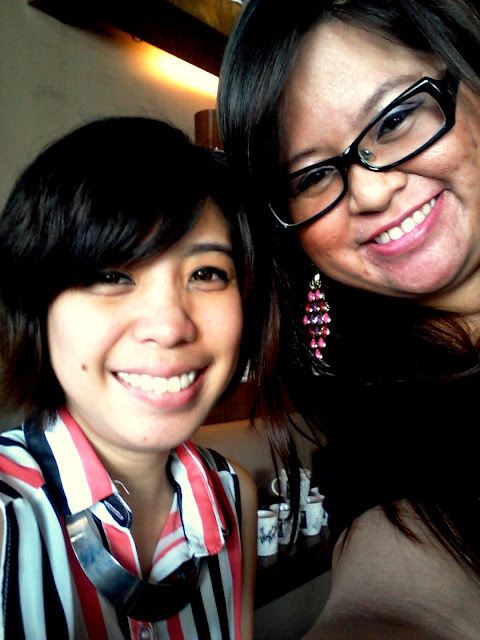 Anyway so on the last day of the promo, me and my good friend the fashionst architect Rache, had a lunch date and headed over at Bo's Coffee at Katipunan Ave. We really like this branch because first of all its very near our work location! Me and Rache work in the Katipunan/Marcos Highway area so this was an ideal meeting place. Also, the Katipunan branch is one of their oldest and biggest branches as far as I know. Since it was lunch time, we only hanged out in the first floor. It was cool and cozy inside and me and Rache were happy to have snagged a good table with cozy seats. Me and Rache go way back, we've been friends since childhood. Our parents were close friends even before we were born! We've been pretty busy lately with our personal lives so it was good to spend some time with each other and catching up with stuff and basically do what we both love to do - eat and then drink coffee or tea! Buy one get one free for me and Rache! So when we went inside, I immediately ordered the Jasmine Lychee Iced Tea. I think it was the smallest size. It costs around Php 115 and I was glad that I could share it with Rache. 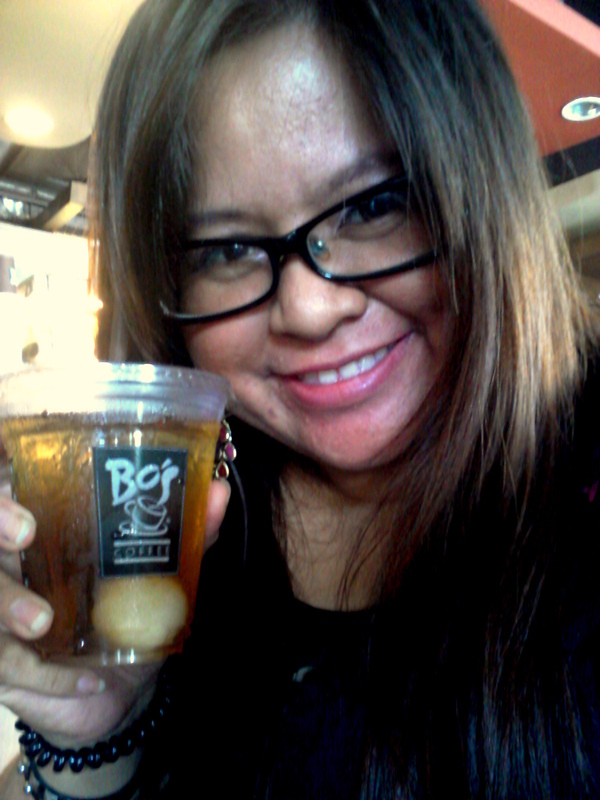 It was our first time to try out the Jasmine Lychee Iced Tea. To be honest, I was kinda apprehensive coz I'm not really a big fan of Jasmine tea. I find the floral note of the tea to be a bit too much but it was hot and I was thirsty and the drink did look enticing and I was "game" enough to try it out. See the white roundish thing at the bottom of the drink? That's the lychee! I'm so glad that I tried it out coz I was surprised by how light, sweet, and refreshing it was! Bo's Coffee definitely tagged this drink right. It was sweet but not overpowering. The Jasmine flavor wasn't too much but blended just right with the sweet lychee. 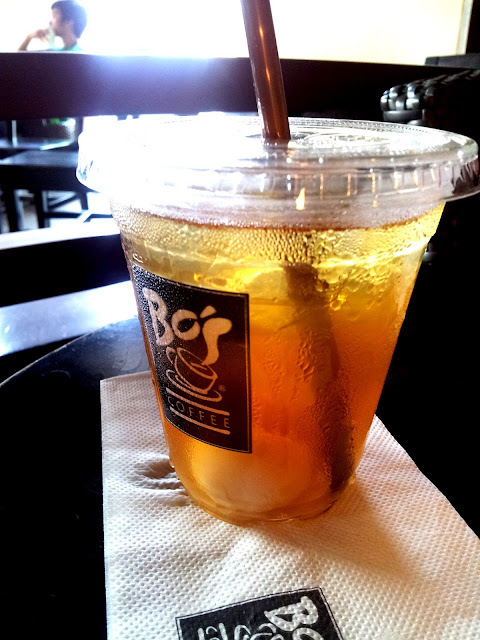 For me it was the perfect refreshing iced tea drink to cool off the heat of the summer. As you drink the iced tea, you can see two pieces of lychee at the bottom of the drink! A drink and some fruit to eat in one cup! Yum! So if you are looking for a refreshing drink from all this heat (its been so unbearably hot lately noh?) then why not drop by at Bo's Coffee and try out their latest summer drink - Jasmine Lychee Iced Tea. Have a cool summer! P.S. Bo's Coffee has a promo right now - the Brewing Escapades Promo! Join and win GC Php 1,000. For more info, check out Bo's Coffee FB Page or visit their website http://www.boscoffee.com. 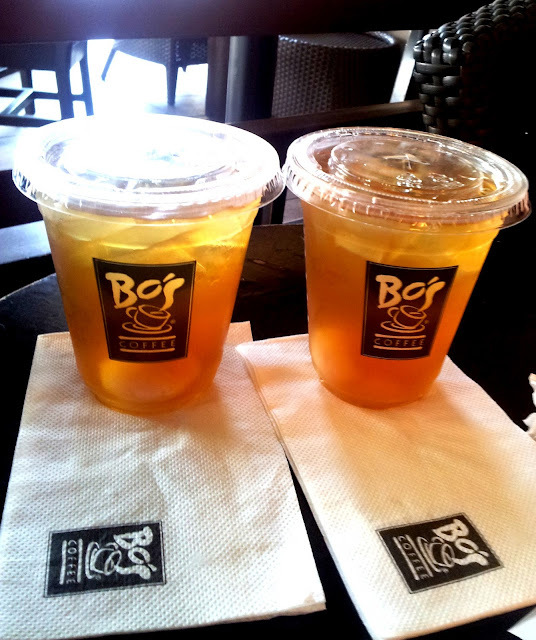 Buy 1 get 1 Ice Tea promo is just perfect since it is so hot, you can actually consume 2 ice tea instead of 1. 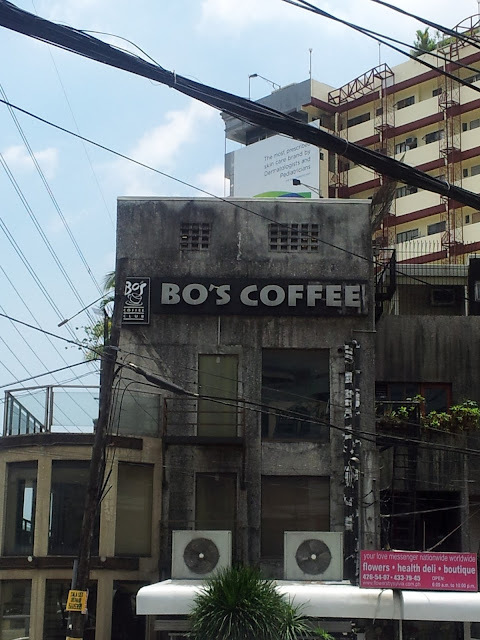 I love Bo's coffee but haven't tried their cold drinks. This is perfect for the everyday heat in the metro. I love Jasmin tea but I didn't know it tastes well with Lychee. Thanks for sharing, will definitely check this out!